Happy from NYC!! My sister and I are having the time of our lives here at fashion week but we miss our babies SO much!! At the same time, It has been nice to get a little break and get a full night sleep (first time in 5 months!). Tonight be sure to tune into Style Code Live because I’m going to be on the show talking about my favorite trend in their studio here in NYC LIVE!! I’m kind of nervous so wish me luck!!!!! Beautiful woman with so much style! LOVE that white coat, it’s an impressive piece! This jacket is KILLER! I’ve been obsessed with your and Emily’s snaps this weekend, you guys are a riot, glad you’re having fun!! I love the winter white look! Also, I saw your snaps/instastories about Hamilton. I laughed because I know you and Em love Hamilton so much! What a fun weekend! P.S… did you cut your hair???? You look gorgeous! Love the coat! Such a cozy coat, love this simplistic look! I love this look! This coat is everything and it goes perfectly with your background. Lovely! This is so chic and hot! Love this!!! And loving all your fashion week Instagrams and snaps!! Gorgeous outfit! That coat is stunning! Such a chic look! I love that belt. You should totally cut your hair like this! So fresh and chic! I love your outfit, Rach! The coat is absolutely gorgeous and looks great paired with the white turtleneck and black boots, so chic! I’m glad you’re having a great time at NYFW and how awesome was that night with VIP Hamilton access?! Haha! Thanks for sharing and I hope you continue to enjoy your stay! I”m obsessed. Love this look, thank you for the style inspiration! This outfit is so chic. Welcome to NYC!! Where can i purchase the pink faux fur coat that is paired with the cream dress? Luv luv luv your style! Such a chic look on you girl!!!!!! That coat is so elegant and chic! I love the LV belt too! Winter whites never looked so good! GORGE!! You are such a babe!! And that belt is hot! Girl! you look so good and i am obsessed with that outfit! you deserve a good nights sleep! i am loving watching your snap and insta stories! so jealous of your trip!! have fun!! Thanks so much, Jenna! So nice! Love how your coat looks so pretty and chic! I am in love with this look! Definitely something I would wear! Where did you get your midi rings? So cute. Gorgeous Winter White ❄️ outfit! Can you provide more details about your pointer finger ring? I’m so sad and disappointed to see your wearing fur now. You have a beautiful blog and I’ve enjoyed it for a few years now, however you must know the cruelty and pure torture of innocent animals that takes place in the fur industry. With this said, I will no longer be reading your blog or looking at/purchasing your clothes. 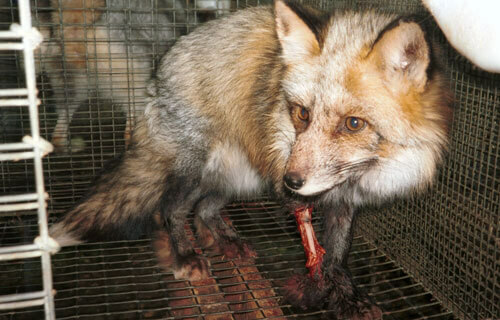 I hope you will do your homework and reconsider purchasing and wearing fur. I’m sorry you feel that way, however I do my research and make sure the real fur I buy is cruelty free and the others are faux. Thanks for following along up to this point. You look elegant! However, I was disappointed to notice that you are wearing real fox fur. Foxes are no less sentient than Dasher. I don’t think it is intellectually honest to treat one animal as a family member and have the other grow up in a small cage for no other reason than to be worn. Anyway, I have loved the colours and shapes of all your winter whites outfits. I read every post on your blog and enjoy especially the wintry ones. I draw inspiration from you especially since we are both young lds mothers. You seem to juggle family duties and work opportunities so gracefully. Keep up the good work! And greetings from Finland. You are so beautiful and classy, but the coat is not because it was made from a fox that was bred in a cage, lived its entire life in a cage and then was skinned. People look up to you. You are promoting a market that benefits off an animals suffering. Foxes can feel pain as much as your beautiful yellow lab. Can you imagine someone skinning your dog? No way. The horror! Well, a fox isn’t much different. Your BEST outfit yet!! Beautiful!